Koala joey Kozo is one year old and almost ready to leave her mum, KiKi. For several weeks the pair have been sitting in the same tree, but not together. This is one of the first steps to independence for a koala joey. 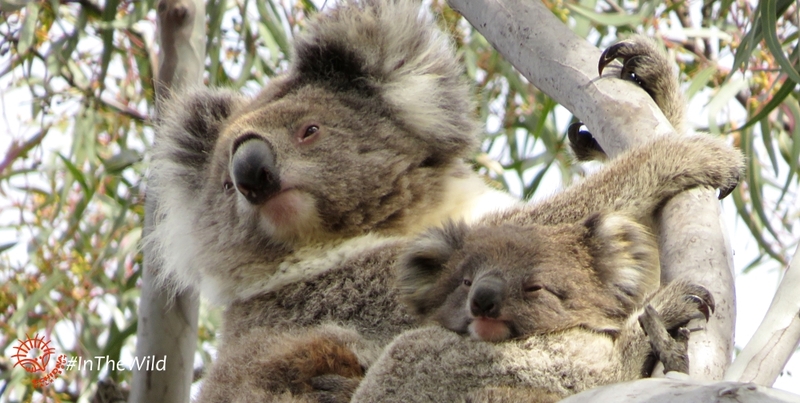 The bond between mother koala and joey is very close in the first nine months. Joeys cuddle their mother tightly, snuggling on her belly and riding on her back. 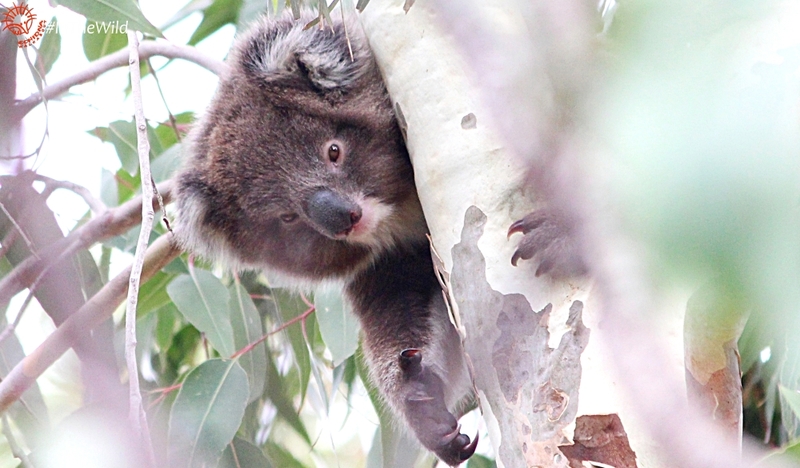 But as independence approaches, joeys become more adventurous – sitting apart from mother, climbing different branches. Mother encourages this because she might have a new joey soon. The separation is gradual but usually permanent. I’ve been researching the koalas in the You Yangs, Victoria for eleven years. I’ve known KiKi since she first appeared out of her mother’s pouch in 2016. Kozo is her first baby. Right through the summer of 2017 and 2018 I watched KiKi and Kozo grow up and learn together. Then one day dawned, hotter than all the others. Quickly the temperature rose to a scorching 43 degrees Celsius. Kozo had never experienced heat like this in her whole life, and she was visibly distressed. As the day got hotter, Kozo got closer and closer to her mum. In the hottest part of the day I found the pair sharing the same branch, only a koala-length between them. Then I saw something beautiful. Kozo approached her mum with her nose stretched out. KiKi did the same and gave her daughter a koala kiss. Kozo is smart – when confused or frightened, go back to mum. Mum will fix everything. Koala kisses are nose touches between koalas. It seems to be a form of greeting. It is hardly ever seen in the wild. Koalas live most of their lives alone in a tree, and most of their communication is by voice. Physical contact between adult koalas is rare. Males and females will touch when mating, males will touch when fighting. There is no need for adult females to touch at all. 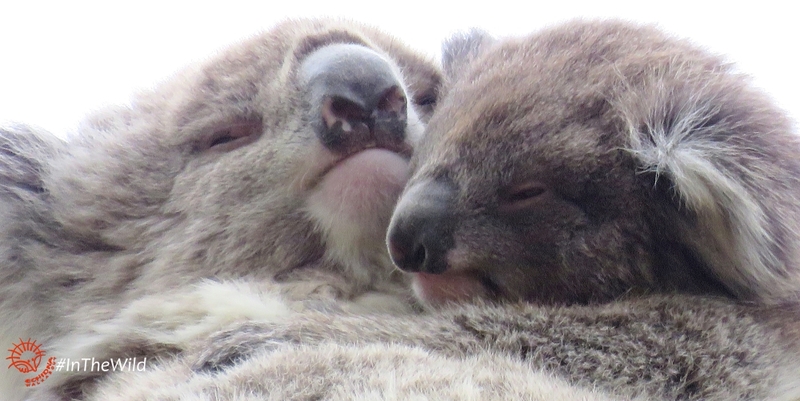 Mother and daughter koalas sometimes maintain a long-term relationship, even when both are adults. They will occasionally share a tree, years after they have separated. When they meet, they might share a brief koala kiss. Maybe Kozo and KiKi will share a koala kiss again. Hopefully I’ll be there to see it. Watching koalas in the wild is exciting, and different every time.